Nikki the all-knowing cook at Georgetown library. Georgetown’s library is a cruiser-friendly library / book exchange, open weekdays 10-12 am. 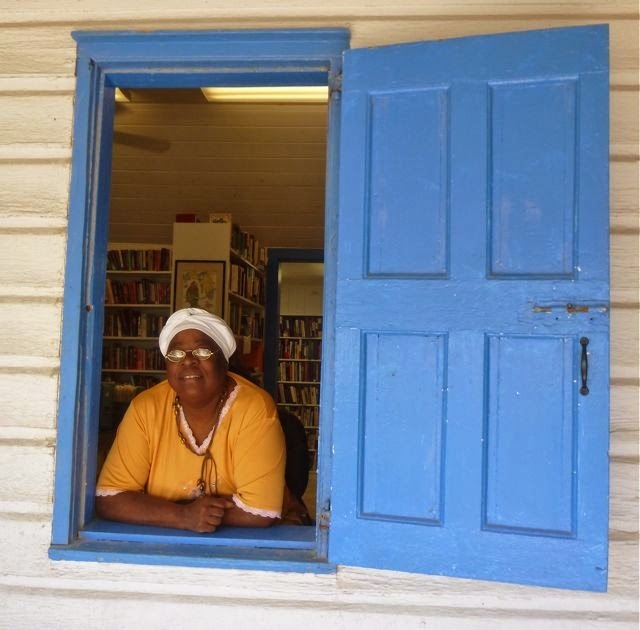 I was returning the just finished Bahamas multi-generation historical novel “Wind from the Carolinas,” on indefinite loan with a $20 deposit. I snagged several Harlan Cobens, my latest easy reading guilty pleasure. They got the nod. “Cookbooks are there,” Nikki pointed. 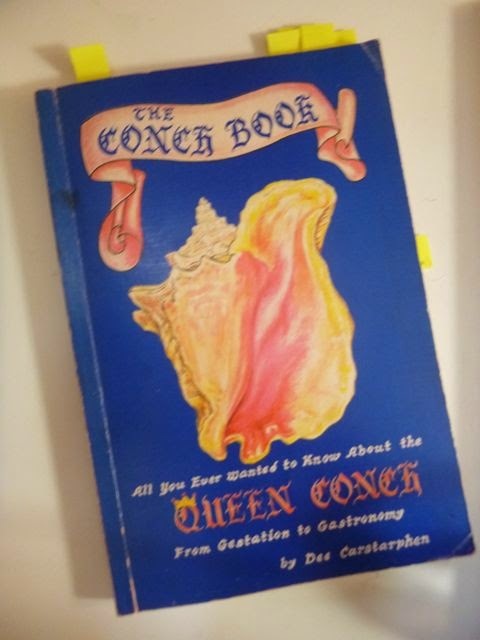 “Conch? It takes some extra looking. Mostly though, you just need to ‘beat the crap out of it,’” we finished the sentence together. 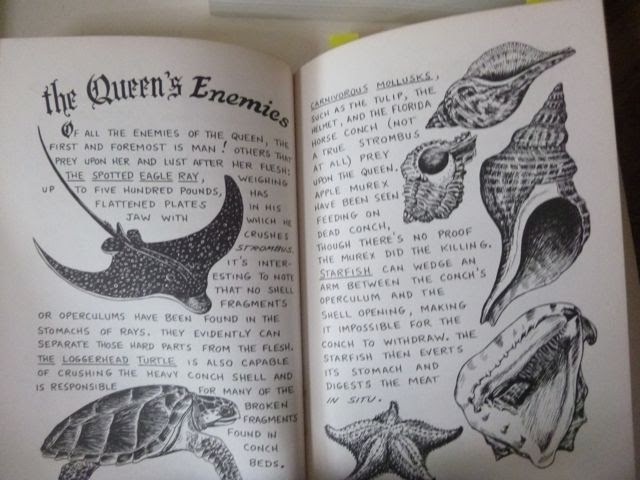 With some help, I found Dee Carstarphen’s charming “The Conch Book: All You Ever Wanted to Know About the Queen Conch from Gestation to Gastromony, ” rife with woodcut-style illustrations and recipes. 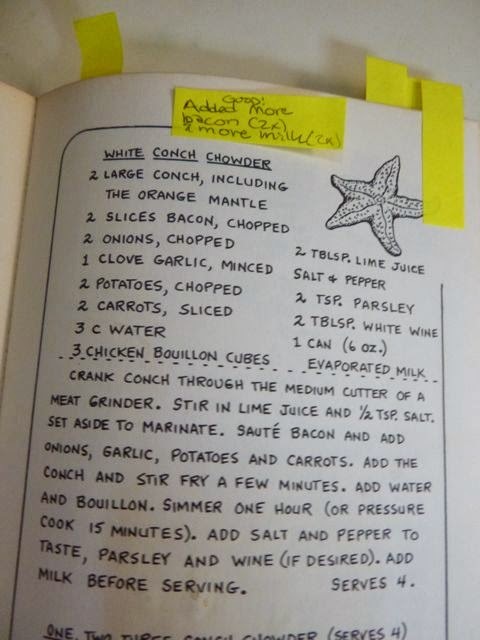 There was even a white conch chowder” recipe, exactly what I was looking for! It even gave pressure cooker times. For $9 I bought about a cup of conch (about 3 small ones) in Georgetown, beat the crap out of them, and made a modified version of the chowder (more milk, more of the smoky bacon we got from Prime Island Meat & Deli) in a pressure cooker, saving about 40 minutes over traditional stovetop cook time. We weren’t that hungry, but there were no leftovers. 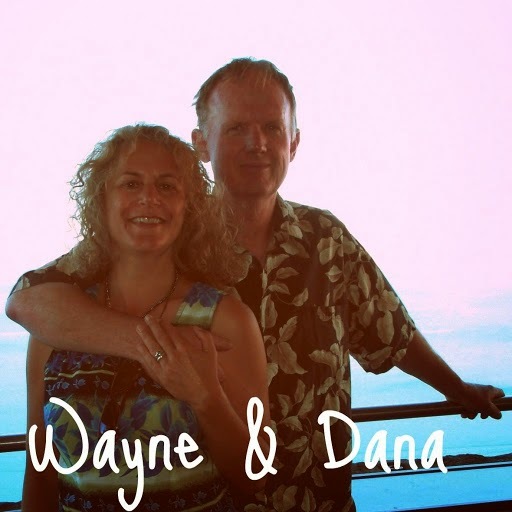 Thumbs up, all the way around, including from Wayne’s Dad and his wife Gunnel, currently visiting. “Now you gotta catch some of those conch yourself,” Wayne teased. Like our fresh-caught mahi mahi, he is fast becoming a fresh-caught seafood convert. If only my hunter-gatherer skills were as good as my galley prowess. There’s no where to go but up. Maybe Wayne’s Dad will lend us at least magic fishing touch on his visit. Fingers crossed. chowder recipe. We devoured it too quickly! 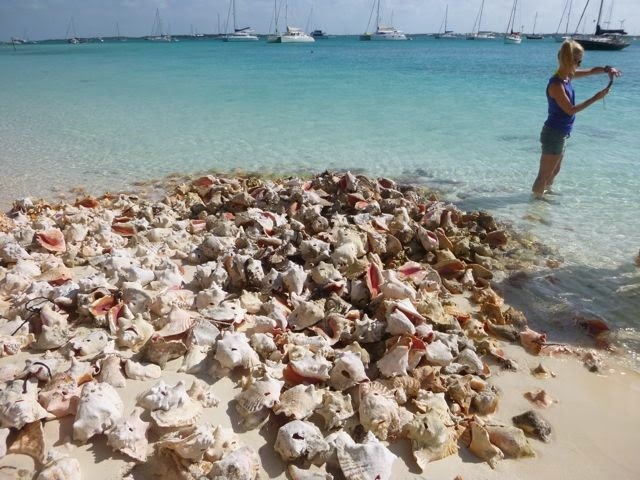 These conch piles are scattered throughout the Bahamas. This one’s at Stocking Island, across from Georgetown. Pre-posted March 14, 2014 from Georgetown, Exumas, Bahamas, Stocking Island roughly N23.31.877 W75.46.377 just off Chat and Chill / VolleyBall Beach. 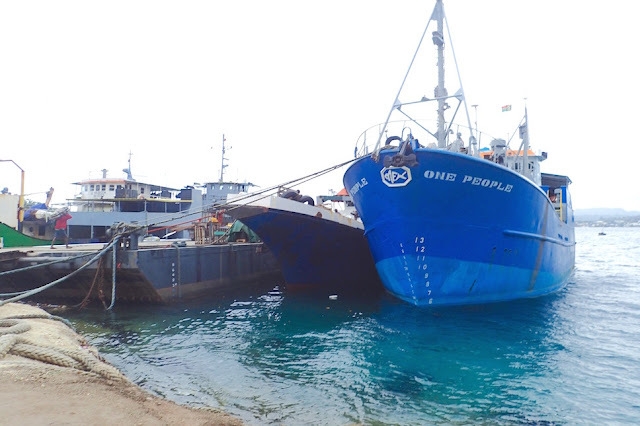 However, by the time you read this, we're not sure if we'll working our way up or back down the Exumas chain with Wayne's folks (who arrived eve March 11th) until we bid Wayne's folks a fond adieu March 19th in Georgetown.